Lifelong memories begin at Kotecki's. 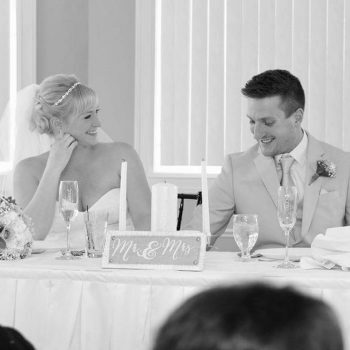 Kotecki’s specializes in Weddings in Western New York and has been a staple in the Wedding industry for over 27 years. At Kotecki’s, clients pick from our variety of wedding packages and then we personally customize each event with you to make it your own! Want the traditional wedding, check out our Dream Wedding Menu. Thinking of switching it up? Elegant Grazing Menus (Stations), Brunches, Luncheons, etc. are all available on a personal request basis. The most current revision of our Dream Wedding Menu can be found on our website under the Menus tab. At Kotecki’s, we look at Weddings a bit differently than other venues. Instead of requiring clients to spend a minimum monetary amount, we try to instead focus on the minimum number of guests. During the prime Wedding Season, which typically ranges from May – November, the Minimum Guest Requirement for Saturday events is: 125 guests in the Natalie Room or 175 guests in the Cecilia Room. For Friday and Sunday Weddings, the Minimum Guest Requirement is 100 guests in the Natalie Room or 75 guests for Outdoor Weddings in the Courtyard. Inquire today if you have any questions about what we offer or if you would like to schedule a tour of our facilities! Copyright © 2019 Kotecki's Grandview Grove. All Rights Reserved.